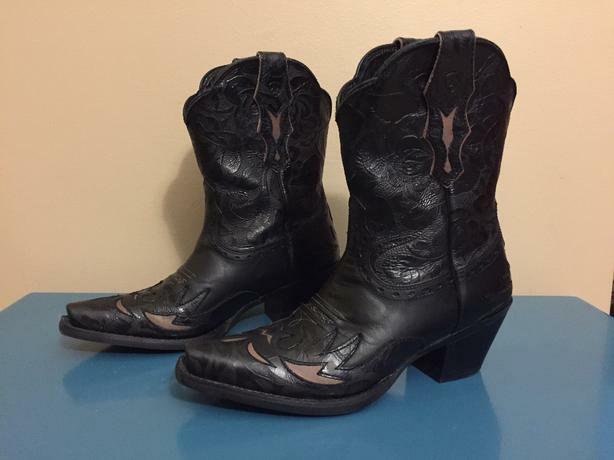 I purchased these cowboy boots in Port Townsend, WA in 2015. Ariat is known to make top quality western boots as seen in the details of stitching, embossed leather and overall construction. These boots have been well taken care of, with little to no wear. I have rarely worn these boots.